As the new coordinator of the School Garden, I am excited to inherit such an inspired project. It is a privilege to learn about the garden’s creation and the tasty activities begun by Janice Oakley. It has been beautifully stewarded by Colleen Doty and Janna Feldman since. Alison Colwell has created delicious memories for our elementary kids. School enthusiasm for gardening has been well cultivated. I am an Early Childhood Educator and I also look at the garden with this lens. Young children can learn through instruction but they need open-ended exploration. We’ll take a playful approach to soil, compost, and weeding. 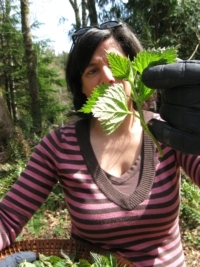 Robust edibles like mint and lemon balm can be tasted often without damage. These easy-to-interact-with elements help build motivation for the growing that requires more method and patience. Greenhouse Coordinator Barry New helps us make the most of our soil and composting systems. Our spring seed starts are warm in the greenhouse and the Community Greenhouse group members have donated starts to the school garden. I hope to engage members of the Seniors’ Garden to share their knowledge and lifelong passion for growing with the children. Another passion of mine is democratic and “emergent” education, which starts where the children’s interests already lie. Giving them a voice in the selection of the food creates an empowering and engaging environment. I’ve made planting lists with the K-2 class and will meet with the older grades. There are teachable moments in this conversation. When a six-year-old asks to grow bananas, we can discuss how climate affects our plants. The kids have also requested that we bring back the Pizza Garden, a round bed used to grow pizza toppings. A garden is a safe place for children to practice working with real tools, such as hand tools that offer challenge and build skills. We are envisioning some fun structures for the kids to play in. Kids are drawn in by change and novelty, so we’re looking for volunteers to help us create bean houses; lightweight wooden structures that will grow walls of beans and other creeping vines. Giving our iconic scarecrow a makeover will be a fun textile activity. Festivals like Mini-Nettlefest and Applefest celebrate seasonal harvest and create meaningful connection. 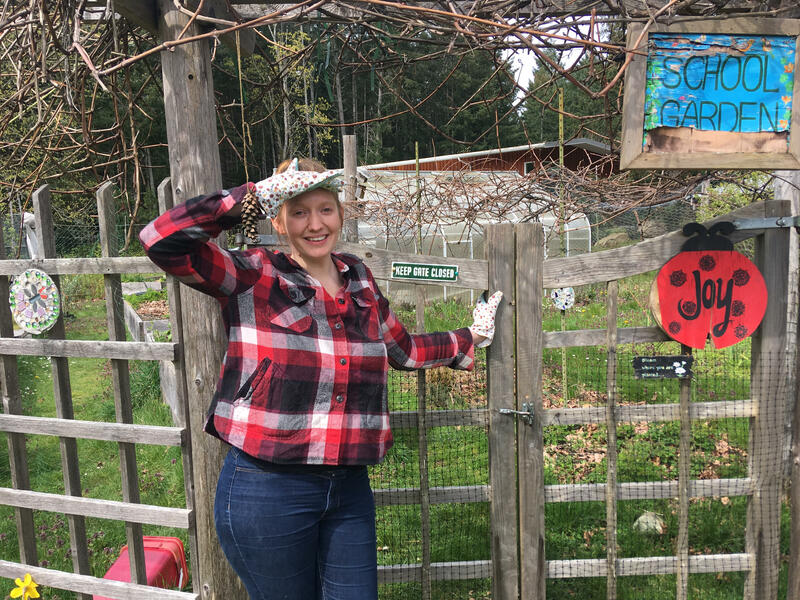 The School Garden of 2018 will be a mix of great Galiano traditions and creative new ideas. We hope to see volunteers of all ages join us. Our next all-ages work party will be held on Saturday, May 12 at 1pm. Join us for snacks and coffee as we focus on soil, weeds and pruning.